Dentists perform approximately 15 million root canals every year according to the American Association of Endodontists. It's a very common endodontic treatment that helps patients preserve and strengthen their teeth. 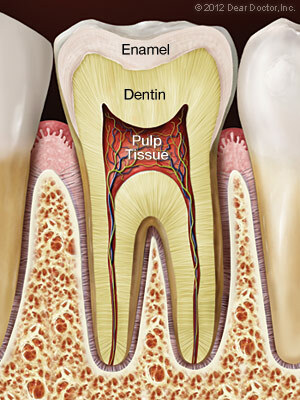 Patients who have severe dental decay are often recommended for root canal therapy as an alternative to extraction. Explore the details and benefits of getting a root canal at Alexandria Smiles Dentistry in Alexandria, VA.
As fearful as many patients are about root canal therapy, it is one of the most effective and beneficial dental procedures. It allows you to keep your original tooth, which is a good thing for a number of reasons. If the tooth is extracted, it leaves a gap in your smile and your other teeth can shift out of position. If you’ve been living with intense tooth pain, an emergency root canal by your Alexandria dentist is the best way to eliminate the pain you’ve been experiencing. If you haven’t been able to smile for a while due to a painfully decayed tooth, now’s the time to call a dentist for a root canal. Dr. Moutaz Abdeen and his team at Alexandria Smiles Dentistry in Alexandria, VA, are committed to providing you with the assistance you need in a calm and caring environment. Call the office today at (703) 671-0626 to schedule an appointment. Root Canal Therapy saves your teeth, while giving you a new reason to smile. Call our Alexandria, VA office (also serving Alexandria West, Shirlington, & Bailey's Crossroads, VA) at (703) 671-0626 to schedule an appointment today!